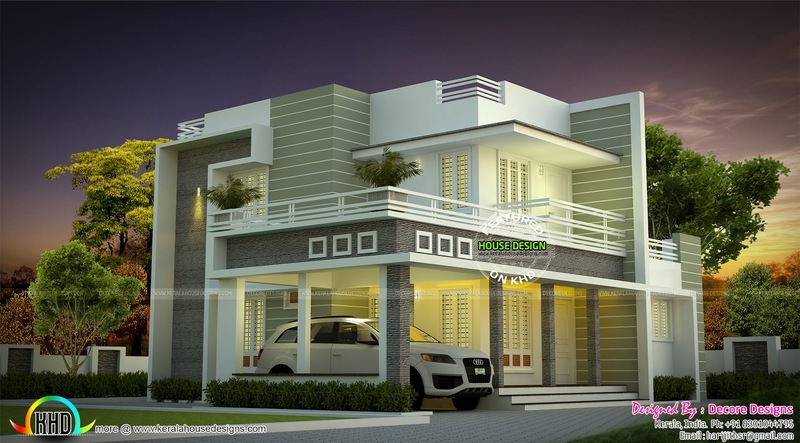 Beautiful looking modern house architecture in an area of 2791 Square feet (259 Square Meter) (310 Square Yards). Design provided by Decore Designs, Kerala. Ground floor : 1829.86 Sq. Ft.
First floor : 960.75 Sq. Ft.
Total Area : 2790.61 Sq. Ft.
1 comments on "Sober colored beautiful modern house architecture"